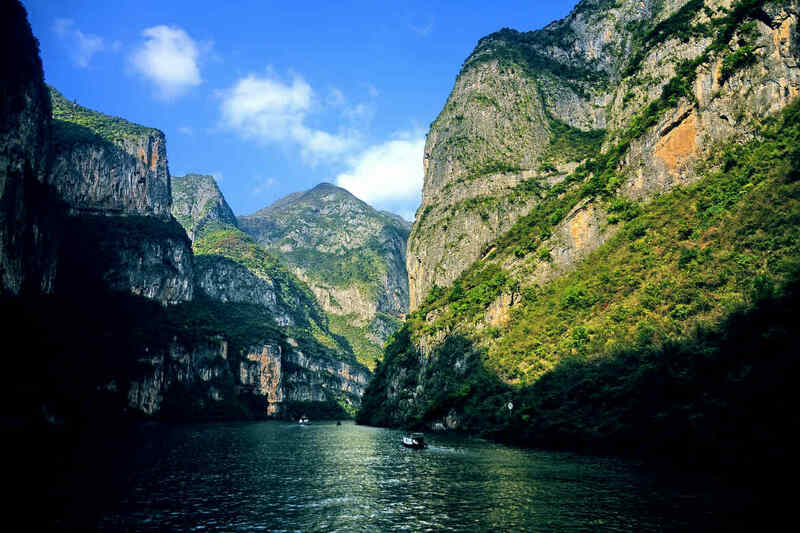 Taking out the title of one of the world’s longest rivers, the Yangtze is not only one of China’s incredible natural assets, but also a fantastic part of the country to explore. 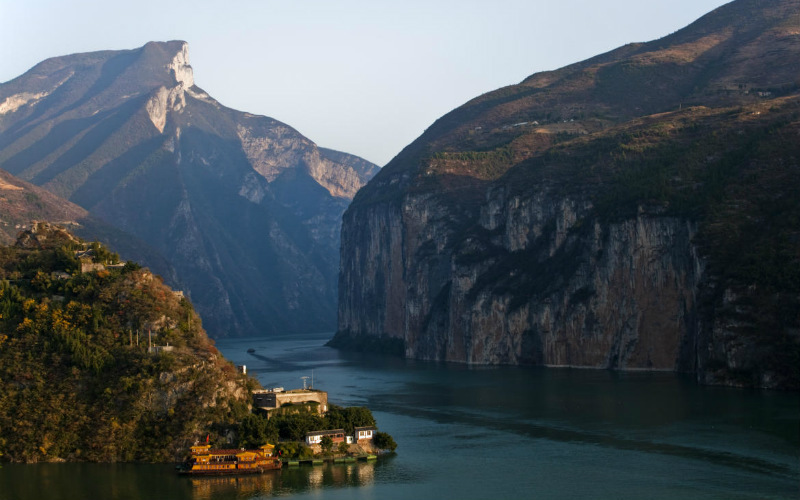 If you’re considering a Yangtze River cruise, check out some of the top reasons why you should spend your next holiday cruising the mighty waterway! Covering a mammoth 6,300 km, not only is the Yangtze the longest river in Asia, but it also happens to be one of the world’s longest waterways, sitting just behind the Nile and Amazon in terms of its total length. Stretching from the Tibetan Plateau in the east to Shanghai in the west, the Yangtze winds its way through 19 different provinces, navigating different terrains and landscapes along the way. Not only is the river’s full scale incredibly impressive, but so too is the diversity of the regions it passes through. Whether you plan to set out on a day trip or are looking to explore the mighty waterway in more detail, each section of the river offers something a little different, making for a trip that won’t be forgotten in a hurry. Thinking about China, it’s easy to envision the country’s bustling cities, filled with busy streets and rapidly expanding industry, but there’s certainly more to this incredible corner of the globe than first meets the eye. Beyond the bright lights and skyscrapers of major cities such as Beijing, Shanghai and Guangzhou, you’ll find another dimension of China, one that abounds in natural beauty and is filled with countless unforgettable sites. Winding its way through the Chinese mainland, navigating the Yangtze is a great way to acquaint yourself with this slower paced side of the nation. As you sit back, relax and enjoy the ride, you’ll see beautiful landscapes, encounter different aspects of the local culture and discover unbelievable landmarks. Slow paced and a feast for the senses, cruising along this mighty waterway is a fantastic way to compliment a tour of some of China’s most popular sites, from its largest cities through to its best known attractions. Qutang Gorge, Yangtze River, China. Image Credit: Tan Wei Liang Byorn / CC by 3.0. Being one of China’s major waterways and covering such an incredible distance, it comes as no surprise that the Yangtze offers a veritable feast for the eyes as you cruise through its waters. As the river makes its way from the Tibetan Plateau through to Shanghai, it passes through a number of different terrains, from rugged mountain peaks and lush forest to wetlands abundant in both animal and plant life. 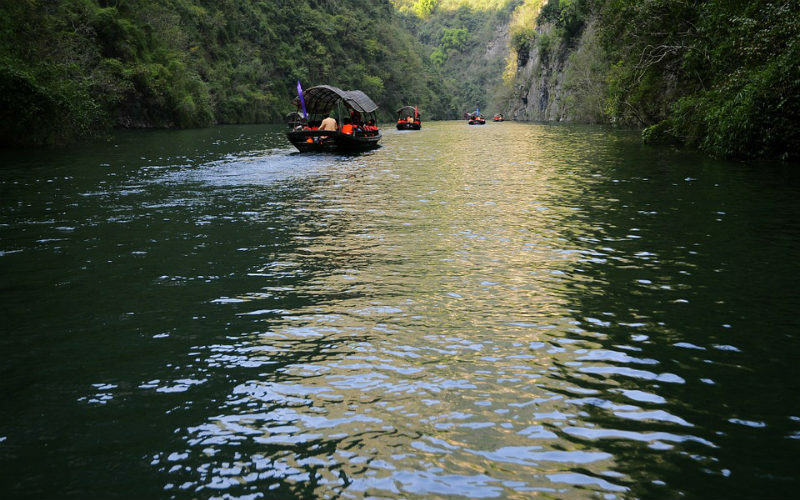 Each section differs from the next, both in terms of the vegetation, attractions and landforms on show and the animals that call it home, leaving countless ways to experience the river and the area that surrounds it, the Yangtze Delta. If you’re lucky, you might be able to spot some of the animals that inhabit the river, including a variety of fish species, turtles, Chinese alligators and more, but you are sure to see some of the many landmarks that line the way. Depending on where your river cruise takes you, you might be able to see the remarkable Three Gorges Dam (one of the world’s largest hydropower projects), Shennong Stream (a smaller arm of the river), Baidicheng (otherwise known as White Emperor City), Fengdu Ghost City (a collection of shrines and temples dedicated to the afterlife) and Shibaozhai Pagoda (a riverside monument). Used for everything from transport through to irrigation, the Yangtze has been the lifeblood of a large portion of mainland China for thousands of years, helping people to travel throughout the country, grow successful crops, such as rice and other produce, and so much more. Thought to contribute to the creation of up to 20% of the goods and services produced by the country each year, without the Yangtze, it’s likely that in some way China would not be quite the country that we know today. Cruising the Yangtze, you can gain a sense of this importance as you pass by some of the many cities and villages that have been established along the water’s’ edge. Without the Yangtze, these settlements would have been unable to flourish in the same way, easily connected to their neighbours and surrounded by fertile soils. Although it may be the least glamorous aspect of the river, it’s important to recognise its significance nonetheless. Three Gorges, Yangtze River, China. Ready to discover what makes the Yangtze so special? Find the perfect Yangtze River cruise or China tour from Webjet Exclusives today!